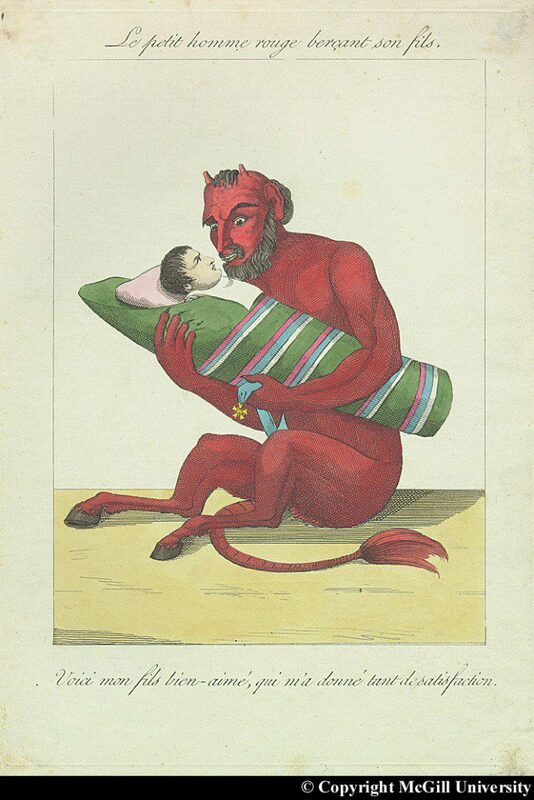 Boney the bogeyman: caricature of Napoleon as the devil’s son. Copyright McGill University. 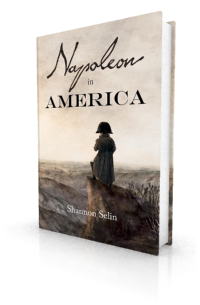 In the same way that early 19th century British caricaturists portrayed Napoleon Bonaparte as a devilish tyrant, British parents and teachers used Napoleon as a threat to scare children into good behaviour during the Napoleonic Wars. In fact, the word “bogeyman” is sometimes said to be derived from “Boney,” the popular British nickname for Napoleon, even though it actually comes from the Middle English bogge/bugge (hobgoblin). English humorist Gilbert à Beckett described Napoleon’s malign effect on his life at a preparatory school near Kensington in 1815. Bonaparte had just escaped from Elba, and Miss Frounce, like an admirable politician, took advantage of this important event to overawe the ‘young gentlemen from three to eight’ who were under her guidance. On all occasions, Bonaparte was held up as the great bugbear, and there was not a boy in the school who was not firmly convinced that Miss Frounce had Napoleon under her thumb – that, in fact, if any of ‘the young gentlemen’ should prove refractory, Miss Frounce had it in her power to send for Bony with as much facility as she could order the sweeps or the dustman. If a boy, when spelling, knocked an i out of the word annihilate, he was threatened with being handed over to the tender mercies of Bonaparte; and every one of the pupils of Miss Frounce felt assured that, if Napoleon invaded England, he would knock at the door of the ‘establishment for young gentleman from three to eight’ the very morning after his arrival. Whatever might have been his feeling of hostility towards the Prince of Wales, or the members of the cabinet, my firm conviction was that Master Snodgrass, who had been turned back in grammar, had much more to apprehend from Napoleon than the Regent and the ministers. Sometimes have I contemplated the possibility of hiding in case of the dreaded visit; but then it has flashed upon my juvenile mind that Bonaparte was not to be baffled, and that he would inevitably look under all the beds in the house, rather than be foiled in the vengeance which the ‘young gentlemen from three to eight’ were convinced inspired him. Never shall I forget the panic that seized on ‘all the boys’ when the fact was announced that a leg of mutton had been stolen from the larder. Who could be the thief? Why, of course, nobody but Bonaparte. Miss Frounce, wishing to enhance the intimidating reputation of her great bugbear, favoured the idea, and the whole of the ‘young gentlemen from three to eight’ were under the firm impression that Bonaparte had landed in England during the night, secured the leg of mutton, and retreated before daylight into the bosom of his own army. Such impressions as those I have related are strange and absurd; but there are many now living who, if they happened, during the time of the Bonaparte panic, to be inmates of a preparatory school for ‘young gentlemen from three to eight,’ will recognize the fidelity of the feelings I have described. So perhaps “Old Nosey” was as much the bogeyman to French children as Napoleon was to their English counterparts. Lucia Elizabeth Balcombe Abell, Recollections of the Emperor Napoleon, during the First Three Years of His Captivity on the Island of St. Helena(London, 1844), p. 12. 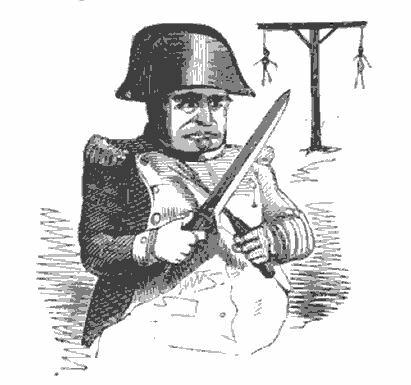 Gilbert A. à Beckett, “Bonaparte at Miss Frounce’s School,” in Douglas Jerrold (ed. ), The Illuminated Magazine, Vol. 1 (London, May-October 1843), pp. 23-24. M. Broadley, The Three Dorset Captains at Trafalgar (London, 1906), p. 148. Wellington Anecdotes: A Collection of Sayings and Doings of the Great Duke, Vol. 5 (London, 1852), p. 41. The Westminster Review, Vol. 48, No. 95 (London, January 1848), pp. 269-270. Interesting post. I didn’t know any of this. I love the Napoleon/Wellington poem. It’s a lovely ghoulish one, isn’t it. Probably gave the children great nightmares. Truly fascinating. Love this blog! I remember my grandmother saying that Old Boney would get me if I was naughty. This was when I was a small boy in the 1950s. At the time I imagined some sort of skeleton as I had never heard of Bonaparte. My grandmother was born around 1890. I had no idea the Old Boney threat was still hanging over children in the mid-20th century. Thanks for commenting! The whole of the young gentlemen . . . were under the firm impression that Bonaparte had landed in England during the night, secured the leg of mutton, and retreated before daylight into the bosom of his own army.